Compare the best to the rest. The USA High School Clay Target League is a 501(c)(3) non-profit corporation and operates the Colorado State High School Clay Target League as the independent provider of shooting sports as an extracurricular co-ed and adaptive activity to high schools for students in grades six through 12 who have earned their hunter education certification. The League’s priorities are safety, fun and marksmanship – in that order. For more information on how to start a team for your school, contact us! Minimum travel for athletes and parents saves time and money. and awards points proportionately to the best overall team rather than the top five finishers. performance ranking in team, class, conference and state via computer, tablet or mobile device. All beginners have the opportunity to contribute to their team’s overall score. athlete registration, submit scores, and state tournament registration. Each registered student athlete receives an accident insurance policy. Every athlete on the team gets to shoot. Website postings of achievements by gender in Class, Conference and State. 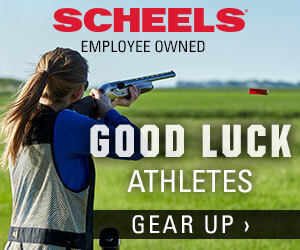 attach to their shooting gear and recognition to the website’s 25/50 Straight Club. team classifications that are segmented by an athlete’s weekly season average. Student athletes can coordinate schedules and participate in other sports. Provides lettering recommendations so athletes can letter for their school. Team photos are encouraged to be included in the school’s yearbook. Student athletes can participate on other teams if their school does not have a team. Seniors can apply for a $1,000 scholarship to help pursue their college education. Full-time experienced staff provide support for coaches, schools and athletes at all times. To encourage new students to join the team. The only high school sport that requires safety certification before participation. Encourages adult mentors to be involved. Student athletes have more fun competing against all teams in a single event. 100% of teams are school-approved. Athletes and teams represent their school by using their school name – just like other sports. No school or student athlete will be required to join any other organization to participate. Everyone participates on the same team with the same rules. With daily updates on activity and news. Expectations are clear and concise. to all requirements regarding sportsmanship, medical, student and parent contact information. Student athletes may participate on another team if their school does not have a team. The League hosts a booth for Wisconsin athletic directors to learn more. Available for teams to use if their competition event gets cancelled due to weather. 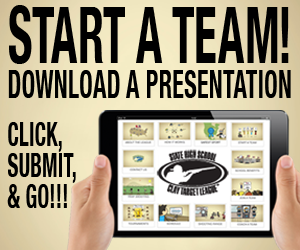 educate parents and students about the team at information meetings held at the school. Conferences are determined by team size, not geography, to make competition as fair as possible. the team size safely a team can be as large as possible. A group of current coaches who share experiences and documents with new coaches. Approval by the high school and use of their name is required. View LIVE scores, standings, and rankings from any mobile device. Online access to training modules, blogs, advisory council and more to help coaches. All new student athletes receive a League patch to adhere to their gear.